Cracksman will wear blinkers for his swan song in the Champion Stakes at Ascot. 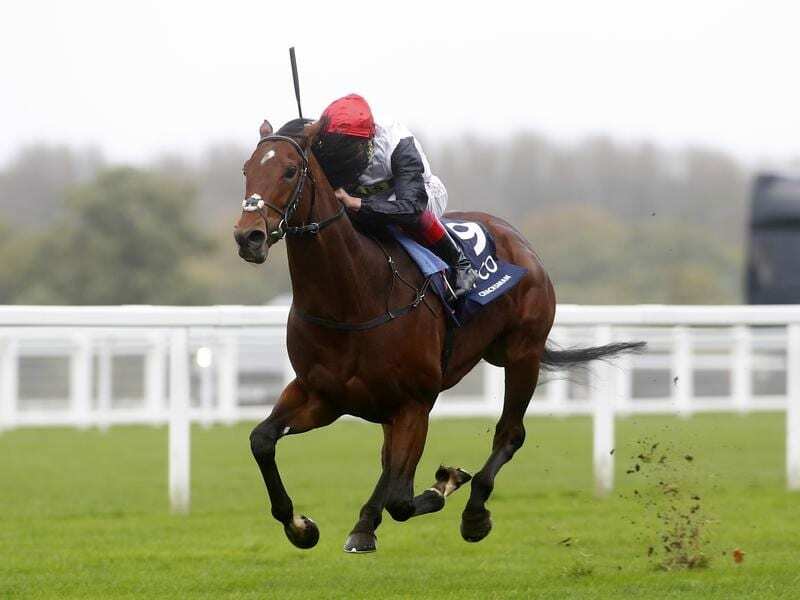 The John Gosden-trained Cracksman is trying to win the race for a second successive year after he demolished a good field last season. Despite winning two Group One races this year, the Prix Ganay and the Coronation Cup, he has failed to hit last season’s heights when he was rated Europe’s best horse and third in the world behind Arrogate and Winx. He was beaten by Poet’s Word in the Prince Of Wales’s Stakes at Royal Ascot, a performance Gosden put down to the quick ground, meaning he has not run since because of the heatwave this summer. The trainer also believes he did not have his mind fully on the job, prompting the application of headgear. Frankie Dettori will be in the saddle and the Italian has been boosted by the ground-enforced absence of stablemate Roaring Lion who will run in the Queen Elizabeth Stakes over 1600m rather than tackle 2000m on rain-affected ground. “There’s no Roaring Lion in the Champion Stakes, which makes life easier for me,” he said on his Ladbroke’s blog.